I learned about the Runcam 4 a couple of weeks ago. Well, I shouldn’t have talked about it, but someone blew the whistle, it’s no longer a secret. So here is the Runcam 4 guys! I will keep this article updated as I learn more. I will also post my review on this very same page in the future. Note: The leaked pictures and footage were from an early prototype, its physical appearance and image quality may change in the production version. When is it coming out? I don’t know yet. Check out our HD cameras buyer’s guide if you want to know more about HD cameras. I was told the Runcam 4 is primarily designed for planes and wings thanks to the more aerodynamic shape compared to the Runcam 3S. 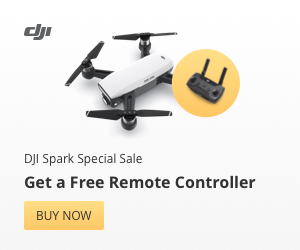 But there is nothing to stop you from using it on quadcopters. Though it can be tricky to mount as it takes more top plate space than cube cameras. The biggest selling point we know so far is the 4K 30fps resolution capability! Making this the highest resolution camera Runcam has ever made. So far the video below is the only footage available on the internet of the Runcam 4. The lucky guys at SonicModell had the opportunity to test an early prototype. But Runcam has also promised to send me one as soon as they feel happy with the performance. Posted in Reviews and News and tagged hd camera, runcam on 6th November 2018 by Oscar.